Polezhaevaite-(Ce): Mineral information, data and localities. Named in honor of Lyudmila Ivanovna Polezhaeva (Людмилы Ивановны Полежаевой) (14 April 1935 - ), a Russian expert in electron microprobe analysis of minerals for her contribution to the mineralogy of alkaline rocks. Yakovenchuk, V.N., Selivanova, E.A., Ivanyuk, G.Y., Pakhomovsky, Y.A., Korchak, J.A., Nikolaev, A.P. (2010) Polezhaevaite-(Ce), NaSrCeF6, a new mineral from the Khibiny massif (Kola Peninsula, Russia). American Mineralogist: 95(7): 1080-1083. Yakovenchuk, V.N., Selivanova, E.A., Ivanyuk, G.Yu., Pakhomovsky, Ya.A., Mikhailova, J.A., Nikolaev, A.P. 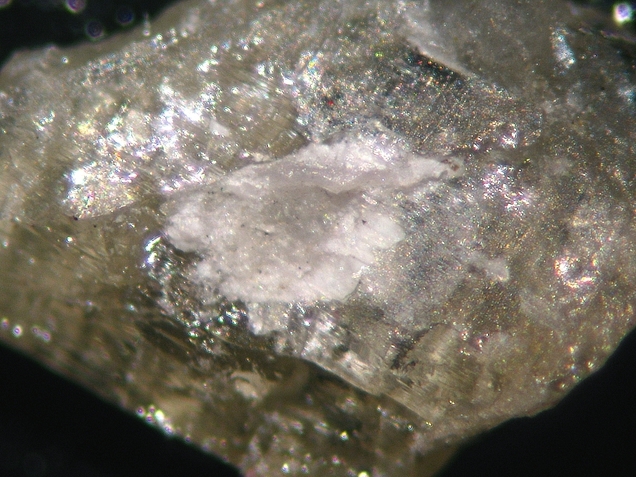 (2010): Polezhaevaite-(Ce), NaSrCeF6, a new mineral from the Khibiny massif (Kola Peninsula, Russia). American Mineralogist, 95, (in press).